How necessary is a forklift pre shift inspection? You do not want to cut corners, when you put your life in the hands of professionals. Pilots, for example, have a checklist for a pre-flight inspection before every flight and 99 times out of hundred everything checks out okay. But it’s the pre-flight inspection that contributes greatly to safe air travel. 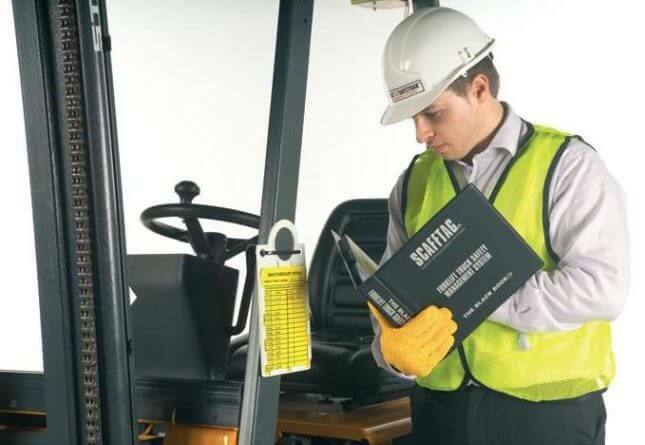 Just like a pilot, it is the responsibility of the operator of a lift truck to inspect the truck before the beginning of each shift and to keep a written record of the inspection. Read below for our checklist, or contact contact the experts at Wayco Multi-Lift today!. Why Is A Forklift Pre Shift Inspection So Important? Whether you own, lease, rent or borrow a forklift, the purpose of a pre inspection is to look for damage and make sure the forklift is in good operating condition and meets the manufacturer specification. It was cool when the Dukes of Hazard jumped into the General Lee and started the engine. But you don’t want your certified forklift operators to engage in such practices. Instead you want them to conduct an inspection before taking their seat and starting the equipment. Safety begins with knowing as much as possible. Forklifts are used in thousands of workplaces, but they continue to be a significant cause of serious worker injury and death. The Occupational Health and Safety Act, known as OHSA, says one in 15 forklift accidents is caused by improper maintenance. Wayco’s Forklift Operators Checklist booklet provides outlined items to be inspected daily. At the beginning of a shift take a few minutes to carefully inspect the forklift. No matter how often you used the lift equipment an inspection must be done everyday prior to use. The operator should have an actual physical list of each inspection item, checking them off as they move down the list from top to bottom. No matter how experienced the operator is, you can not rely on a mental list. Every pre start check should consist of a visual pre-check and an operational pre-check. Part 2: What Specifically Should Operators Check? A forklift pre-shift inspection starts with a walk around the forklift. The next step is to make a number of visual checks. Forks must be level so look for excessive wear or cracks in the hanger welding or in the heel. The forks must be evenly spaced and the four pins locked into place. Mast assembly check for any leaks, or drips; ensure the hydraulic hoses do not have any punctures or cuts. Check it is free of foreign objects such as pieces of wood or wire. Make sure the tension of the chain is nice and tight; also make sure it is well lubricated. Ensure that the load backrest is not damaged and is securely fastened. Check the seat belt is in good working order. See if all safety equipment is attached and in good working order such as fire extinguisher, mirrors, safety labels and capacity plate. Check the propane tank make sure it is secure. Smell and listen to the connections for any leaks. Frosting will indicate a leak. If electric, make sure the battery cables are clean and connected. Look at the radiator to make sure it is clear of debris or trash. Now we are going to talk about three-point entry and exit shown in the video below. Three-point entry refers to how we properly get on and off the forklift at all times. Three points of your body are in contact with the machine at all times. Enter and exit with two hands and a foot on to the truck to sit down or of course to get off the forklift. If you have any questions about the contact points on your particular tuck, you can always check with your manufacturer or with the operators manual of the truck. Always put your seat belt on. Put your foot on the brake, turn on the forklift, put it in forward, and take the brake off. If the forklift does not move, then the emergency brake is working. Test all brakes, including the foot brake, the parking brake, and the deadman seat brake that stops the vehicle when the operator stands up. Check that the controls are clearly marked and that the seat and steering wheel are secure and properly adjusted. Check that the engine oil light is not on. Put your foot back on the brake, put it in neutral and turn off the forklift. If any items are found to be unsafe or needing repair, the forklift needs to be taken out of service and red-tagged until repaired. Report any problems in the daily check to the supervisor immediately. 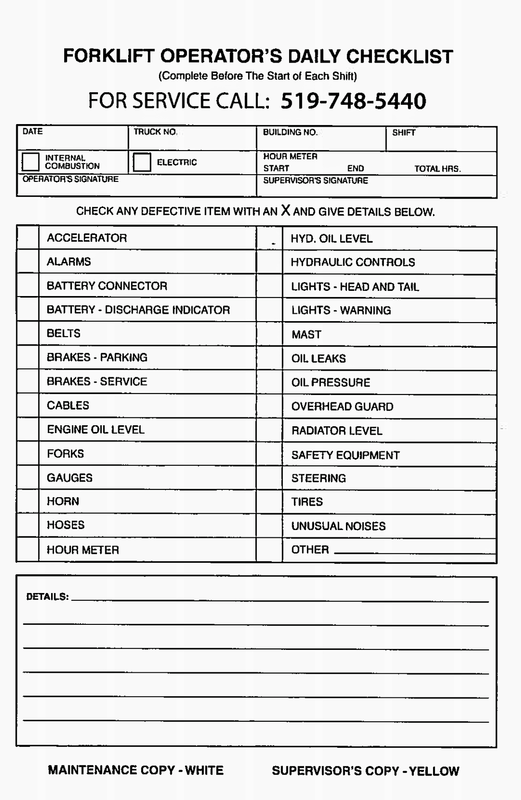 Make this forklift pre shift inspection checklist available to all forklift and lift equipment operators; and be sure they provide space to enter detailed comments about any findings, damage or concerns. Inspecting your forklift as required by OHSA is not only a good idea to maintain compliance, it is a best practice for any forklift fleet. At Wayco, we found it pays for itself over time with reduced maintenance costs, accidents and product/ facility damage. Looking For a Forklift Pre Inspection Form? Forklift Pre Inspection forms will make your pre inspection process easier and more efficient for your workers. For a complete checklist form, you can place your Order right here. Using the forklift pre inspection form will guide operators through all the important steps. 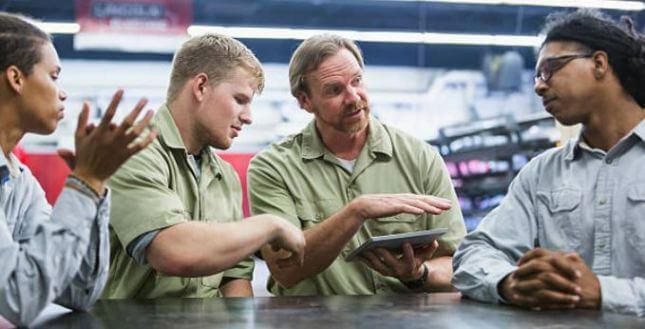 Key component to a successful business is keeping your workplace safe and ensuring that your equipment is up-to-date and fit for your employees to operate. We have other safety products available such as lock out tags , Battery PPE kit and more! Contact Wayco today if you have any further forklift or safety related questions. We’d be glad to help in any way we can.